The expectations of consumers from the brands have changed these days. Gone are the days when consumers used to pick up phones and dial in the designated customer care number to speak on the issues they have. Now they reach out to brands on social platforms and even through the convenience chat options. To cope up in the changed scenario, brands have started feeling an increasing need to reach out to customers through various channels and let them move from one to the other channel without any hiccups. We spoke to Rahul Sharma, Managing Director, LogMeIn India to understand how the IT solution providers are tuning in to the changing needs of the brands and help them reshape their customer engagement strategies with intelligent and smarter processes. LogMeIn recently unveiled a chat support software called Bold360, which is clearly a result of its acquisition of the live chat and customer communications software, BoldChat in 2012. Bold Software was initially acquired with the intention to extend the capabilities of LogMeIn Rescue, the company’s remote support product. What is the reason behind coming up with a customer chat support product? We see a significant white-space when it comes to the engagement capabilities of traditional CRM and digital customer service solutions. 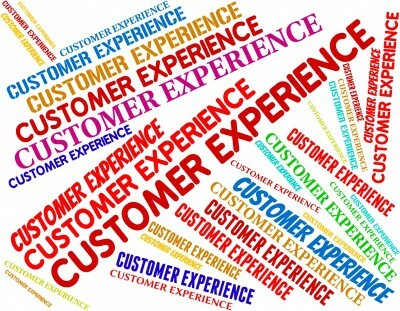 Customer expectations around how they want to interact with companies has been changing overtime and it is becoming difficult to achieve brand loyalty. To address this, traditional CRM solutions are undergoing dramatic changes by adding new engagement channels, but they are generally created to be “good-enough” and check a box rather than robust and powerful. And even with those extended channel capabilities, customer information from various channels live in disparate systems making it hard for brands to have a full view of their customer. Bold360 brings together customer information and vital business data in one solution – making that information actionable and helping companies deliver a seamless and more personalized experience. What kind of customers are you targeting with this new product? Bold360 is designed for companies in a variety of industries who are looking to expand customer engagement beyond their current capabilities. Whether you are a small e-commerce site experimenting with a few channels or a BPO leveraging omni-channel engagement to optimize your customer support teams, Bold360 can help advance your current engagement strategy by creating a complete, 360-degree customer that delivers actionable intelligence, and creates deeper, more meaningful relationships with customers. How do you want to differentiate yourself from the competitions like Freshdesk, Zendesk, and Zohodesk, etc. What we are looking to do with Bold360 is really to meet the needs that are currently being unmet by today’s CRM and ticketing systems. These technologies were designed well over a decade ago to support service teams by capturing a snapshot of static customer data. We are taking the concept of a system of records into the future, by creating a true system of engagement – one that is built with the end-customer in mind – providing the most popular engagement channels – social, live chat, email, and self-service tools – that work seamlessly together, includes remote support tools, and easily integrates with CRM systems to present a rich customer profile all in one place. This information allows brands to build business workflows that are richer and more customer-centric than traditional systems can provide today. We aren’t looking to replace the CRM, we are looking to make it smarter. Do you have a long term objective or product strategy in the CRM space? Our mission, as it pertains to Customer Engagement and Support, is to provide solutions that empower our customers to deliver a more human, personalized and intelligent experience across all digital channels and devices. We want to help companies create an experience that drives unparalleled satisfaction, customized engagements and increased productivity. Bold360 is the first step in that mission and it will continue to evolve to create richer customer profiles and we believe it will become an essential tool for the customer service groups everywhere. Since machine learning and automation will reshape the customer service industry, how do you want to integrate these elements in your solution? There is great promise when it comes to AI in customer service, but most brands are in the experimental phase. No one has really cracked the AI code for this space quite yet, but as the technology evolves it is going to become a powerful tool. Bold360 today contains intelligent automation that helps provide agents with answers to commonly asked questions. The system gets smarter over time and can be applied to self-service interactions or to inform agents in assisted interactions. As Bold360 continues to evolve, we anticipate that emerging technologies like AI will play a role in our long-term strategy.